Name 5: industries with reputational problems. Chances are debt collection would feature quite prominently! So when our friends at Copper Street Capital asked us to get involved with rebranding a debt purchasing and collection business they’d just acquired, we were understandably reticent. We needn’t have worried. It turned out the debt purchasing and collection industry had been the subject of significant FCA attention and was now fully regulated – and Motor Mile Finance (MMF), under the direction of new CEO Denise Crossley – was at the vanguard of efforts to change people’s perceptions. 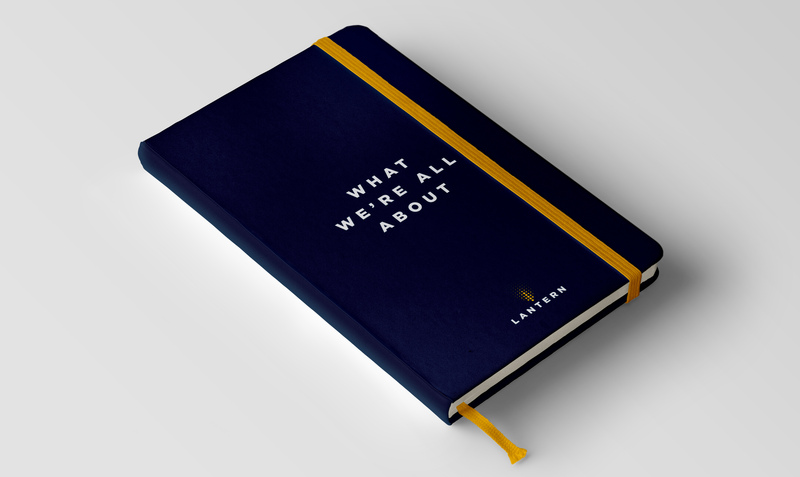 Over the course of several workshops, client interviews and customer surveys, it quickly became apparent that Denise and her team didn’t just pay lip service to this new way of doing things – they went out of their way to put customer-focused values at the heart of the business. 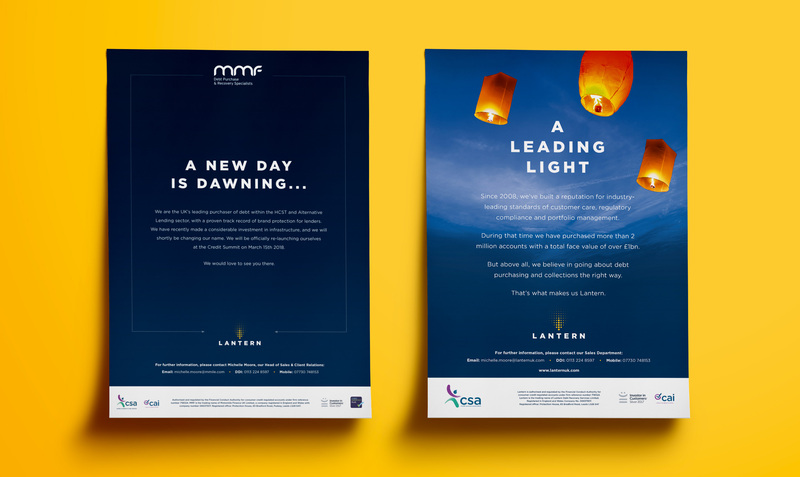 Coupled with the customer service accreditation and award MMF won during the two months of our research phase, and we knew the company’s values were a logical launchpad for the new brand. A wide-ranging name generation process eventually led to a clear, if surprising, choice: Lantern. It was a brave move for a company in such a ‘safety first’ industry, with nearly all competitors opting for names devoid of interest or aspiration. 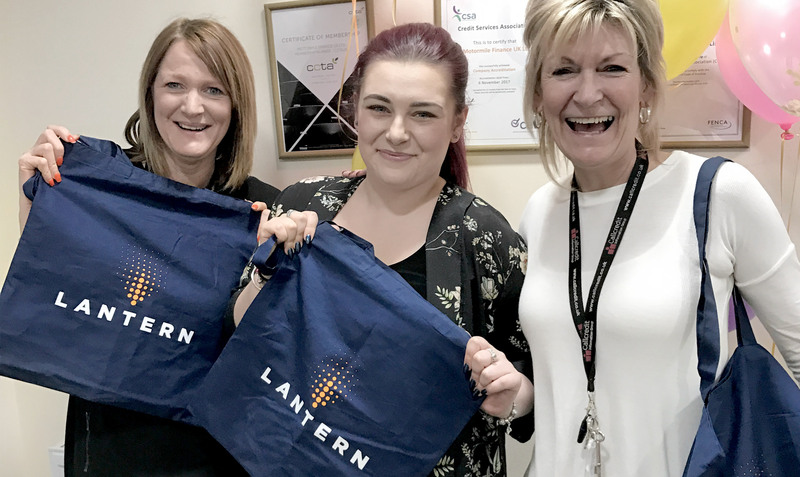 Ultimately, the draw of Lantern to the company’s leaders was that it served as a reminder of the high standards they set themselves, as well as capturing their desire to genuinely care for their customers and provide a glimmer of light at the end of the tunnel of debt. 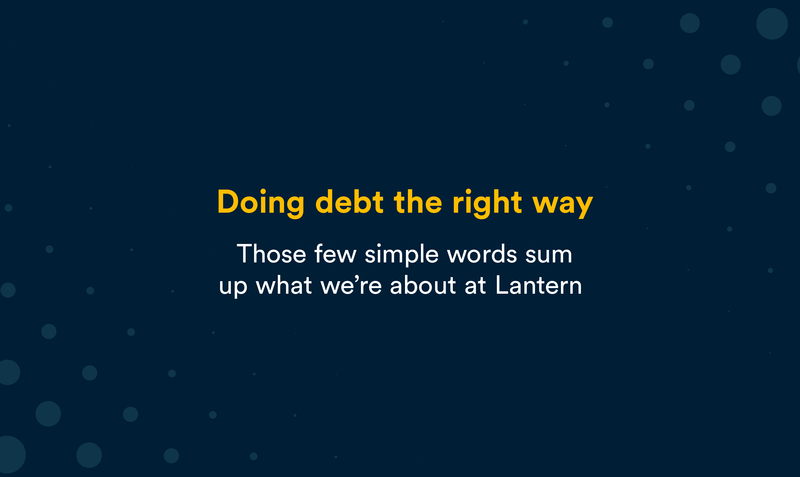 Those few simple words sum up what we’re about at Lantern. It’s what motivates our staff to provide award-winning care and lend a sympathetic ear to our customers. It’s what drives us to ensure our processes are not just compliant, but thorough and fair-minded. It’s what keeps us focused on doing right by customers and clients alike. Debt purchasing and collection is what we do – we happen to think it’s worth doing properly. 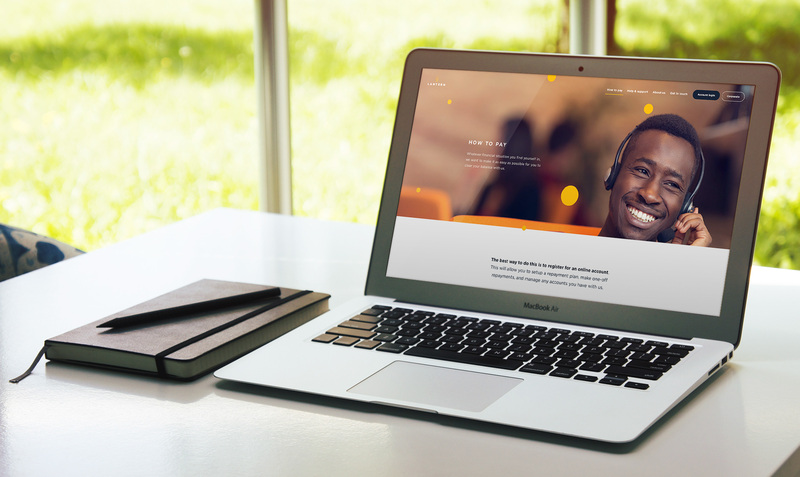 With a bold new name and powerful brand thought, the challenge was to create a visual identity that matched this ambition – whilst still retaining enough of the safety and security needed for a financial institution dealing with often-vulnerable customers. 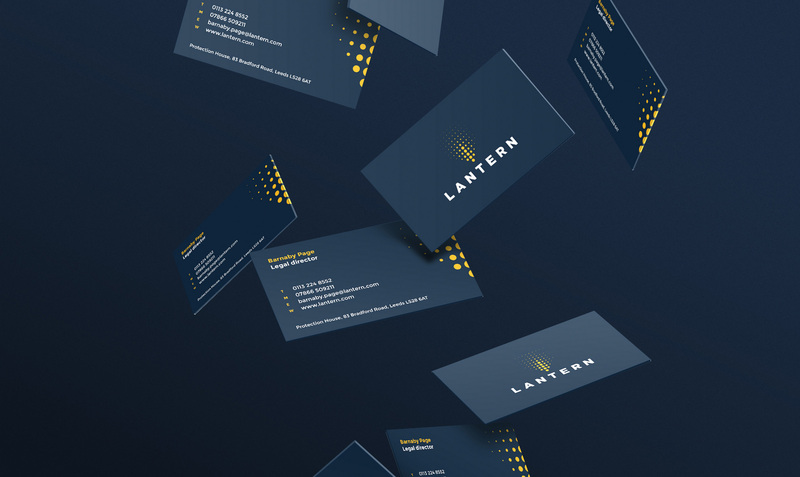 The idea of Lantern shining a gentle light into the surrounding darkness became the basis of the new logo marque, with the torch projecting its light upwards from the centre of the logo. The typography was chosen to convey assurance and confidence, a nice balance with the more ‘light dots’ sitting above it. With the client thoroughly in love with the new visual identity, we went about transferring it onto a range of branded items that would serve as useful tools for the staff team of around 100 employees – as well as executing it through a new sales presentation, series of launch adverts in trade publications, and the new website. When the big day came for the internal launch of the name and new visual identity, there was a hush of excitement in the room as around 100 staff gathered for the big reveal (the few in the know had apparently avoided spilling the beans). From there, it was on to the public launch a month later – with a new website (including a payment portal accessed by several hundred thousand customers) and a successful launch event at the year’s biggest trade conference. The reaction from the wider world has been equally effusive – with adjectives such as ‘bold’, ‘inspiring’ and ‘welcoming’ returning in the feedback. In the end, despite our initial reservations, we were proud to be part of the change that’s taken place at this company – and to be the instigators of a brand that is showing an unloved industry that if something’s worth doing, it’s worth doing the right way.